Is it a plant, is it an alien? I’ve mentioned before that I’m growing my own salad and vegetables this year. In keeping with my infiltration of German society, I thought I’d better grow some proper German veg. 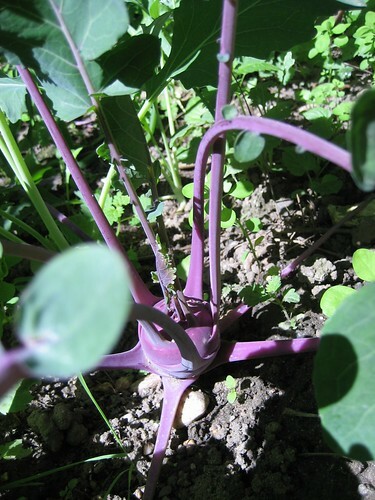 And what could be more German than having your garden full of kohlrabi? Well… that’s what I thought until they started to turn into aliens… right there in my vegetable patch! Seriously… some are purple and some are green… but they’ve all got tentacles… or possibly antennae. I can’t sleep at night as I’m expecting them to invade the kitchen any minute. If I don’t post again, you’ll know they got me…. 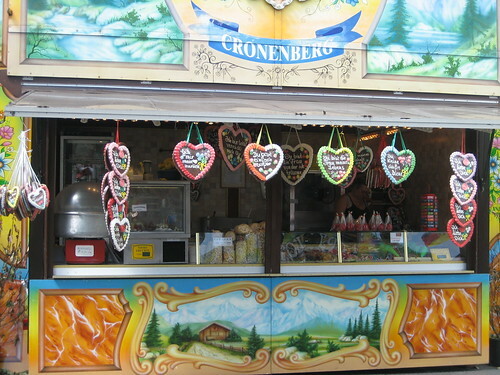 I already mentioned that Whitsun in Meerbusch is not complete without a trip to the fair. Of course there’s one stall which we Brits always make a beeline for. 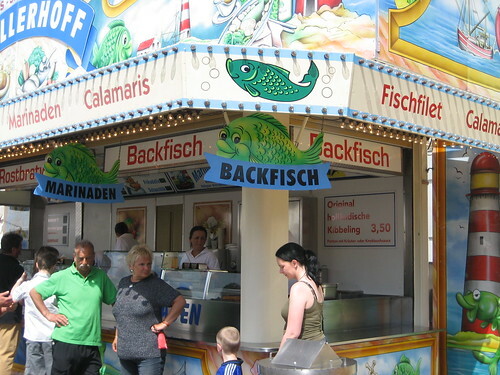 The Backfischbude. This is the one place and time when you can get proper English-style Fish ‘n’ Chips in Germany. The only secret the the Germans haven’t discovered about Fish ‘n’ Chips (nobody breathe a word, OK) is you need to add proper malt vinegar. 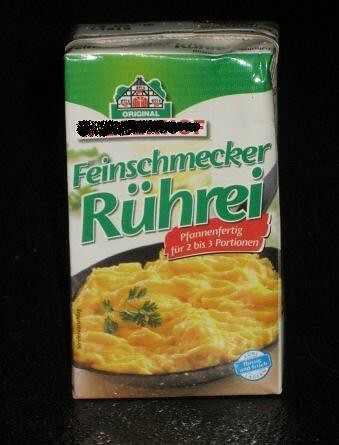 This is impossible to find in German supermarkets. We import it ourselves from Britain. So on Saturday, we went along for our Fish ‘n’ Chips with a secret stash of our precious malt vinegar carefully decanted into a miniature whisky bottle. 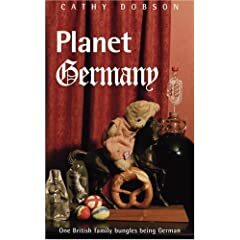 As we sat down to enjoy the feast, we did get some odd looks from Germans as we all appeared to pour a generous measure of Scotch onto our fish… in fact I could almost hear the clunk of jaws dropping when not only we adults but also our children followed suit. 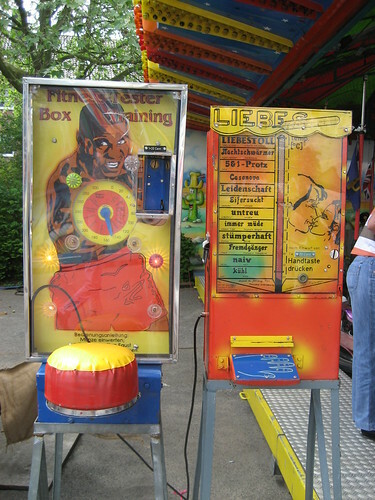 Finally, I have to share with you this couple of slot machines I found lurking over near the dodgems. They don’t make ’em like that any more! Planning to waste years of your life sweating over a German grammar book? Well stop right now.